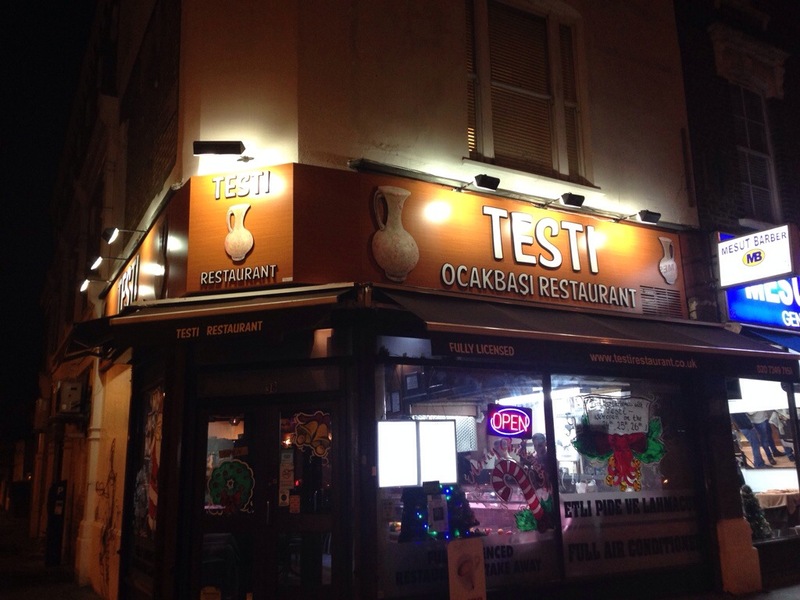 Testi is in the middle of Dalston, a place which is packed with Turkish restaurants. 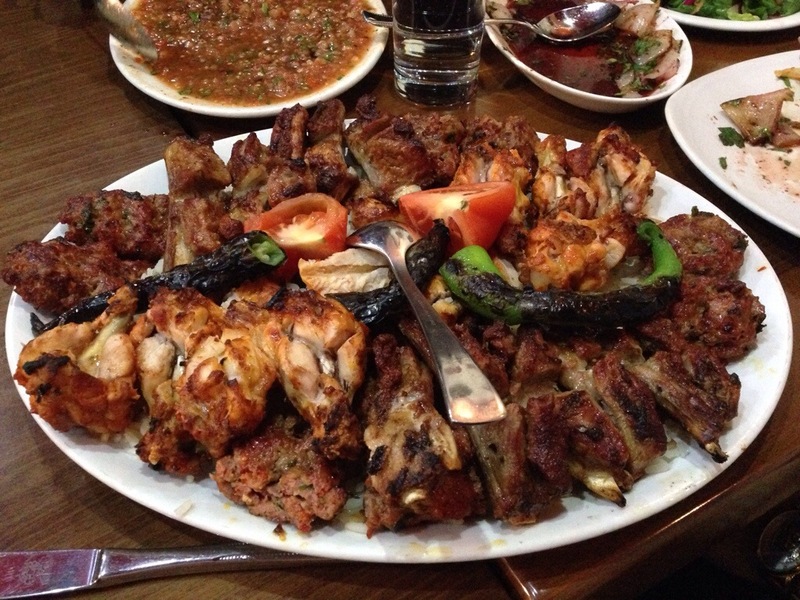 I shared the mixed grill for 3 with another big meat eater like myself, I also tried some other dishes my friends had ordered. Overall everything was cooked well and had a good taste. The salt content was just right, something which is easily overdone in some Turkish restaurants. I particularly liked the Adana Kebab but I was most impressed by the ribs, because they had a good meat content and the fat wasn’t rubbery unlike other ribs I have had elsewhere. I haven’t had many Iskenders, this one was alright, maybe a little too saucy. The place has nice decor inside so it is a nice place to take someone, but maybe worth driving up here as it is located quite far away from the closest stations. 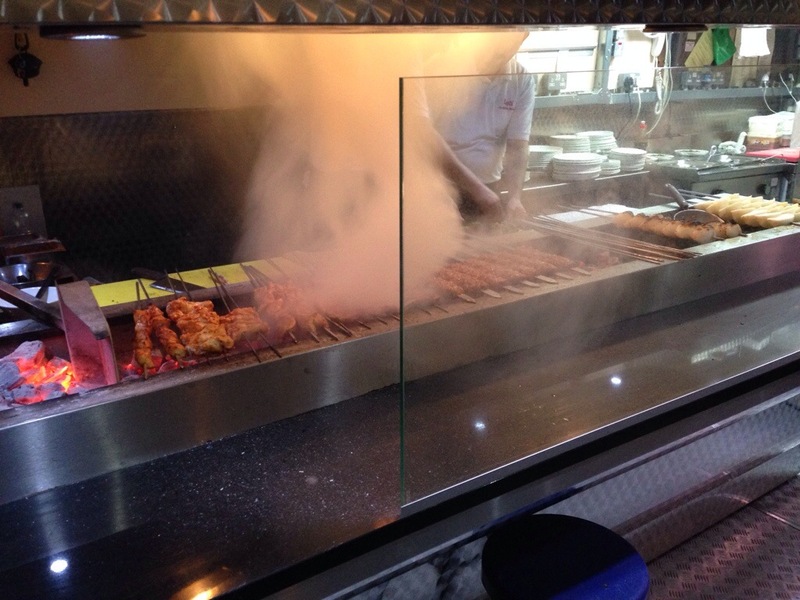 Food – 4/5 – This is my favourite Turkish restaurant in Dalston. Service – 5/5 – My friend ordered a salad for herself but they gave bigger portion so that we could all share it, that is excellent customer service. 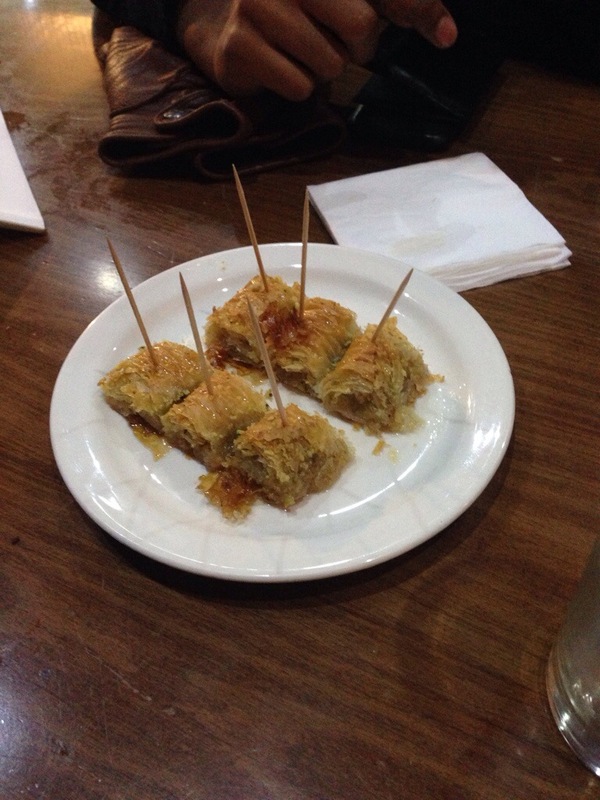 Complementary Baklawa is also served at the end. 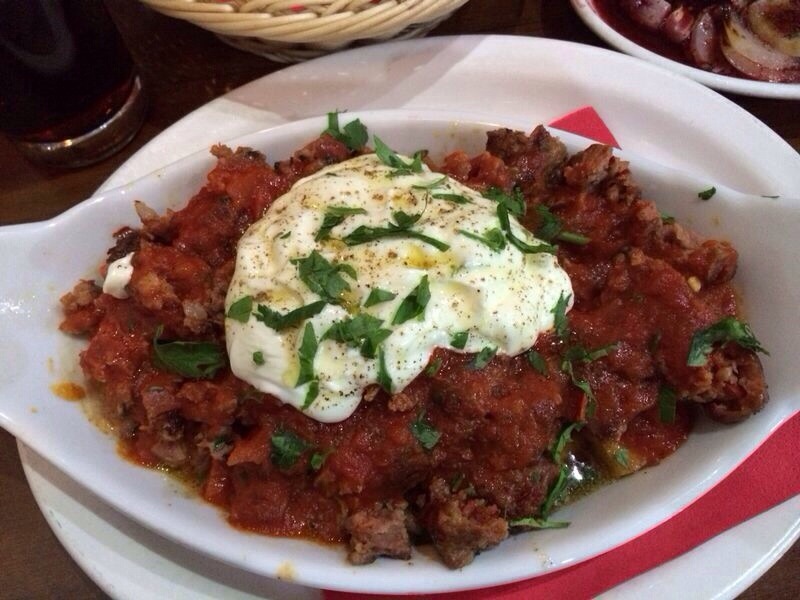 SAS – 3.5/5 – overall its a nice traditional Turkish restaurant.